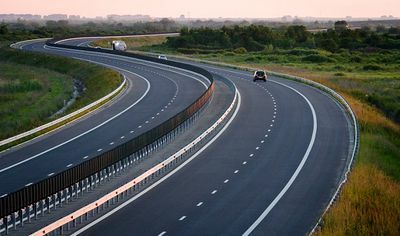 Infrastructure investment should be a major policy focus in Romania, as it would contribute the most to reducing regional disparities while also allowing businesses to access underutilized labor resources, central bank governor Mugur Isarescu said in Vienna. The governor underlined that Romania is now in its ninth year of consecutive economic growth but warned that several dimensions of recent growth could have turned out more favorable. “For instance, the contribution of investment to growth was smaller than it should have been, with consumption spending being the main driver of GDP dynamics in recent years. 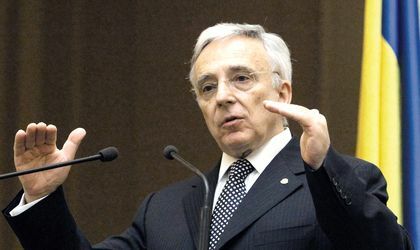 While there is no question that welfare has increased markedly, the concern for rendering these welfare gains sustainable should prompt a switch to policies aimed at fostering investment, thus boosting the productive potential of the economy, so that future economic growth would not lead to further widening of macroeconomic imbalances,” Isarescu said. The lesson of the crisis is that a short-term focus in economic policies and paying no heed to accumulating macroeconomic disequilibria ought to be avoided, as they eventually lead to suboptimal outcomes, according to the official. “In Romania, infrastructure investment should be a major policy focus, as it would contribute the most to reducing regional disparities while also allowing businesses to access underutilized labor resources – a particularly welcome development in the nowadays tight labor market,” he indicates. “In terms of macroeconomic policy, it is beyond any doubt that countercyclical monetary policy favors smooth convergence. This has always been one of the guiding principles for calibrating the stance of the National Bank of Romania’s monetary policy, as well as for developing and employing our policy tools,” Isarescu added. Romania must continue on the road ahead keeping in mind that past achievements in terms of convergence, however large, do not guarantee future success. “The middle-income trap is a real danger,” Isarescu warned. “For a sustainable economic convergence, we have to maintain a long-term perspective and implement coherent policies and reforms. Moreover, having ambitious but, at the same time, realistic anchors (such as the EU accession was for Romania before 2007) does help, as it gives purpose and direction to policymakers and society as a whole,” he added. In order to move forward on the convergence path towards euro adoption, Romania needs, first of all, to understand there is no substitute for a coherent economic policy mix, which should remain so even in electoral years, the governor points out.